Welcome to the blog!!! This is our first attempt at joining the blogging world, so this may start out a bit rough, but hopefully will improve over time. We really wanted to be able to document our fun, culinary expeditions in the kitchen, around town, and on our travels. 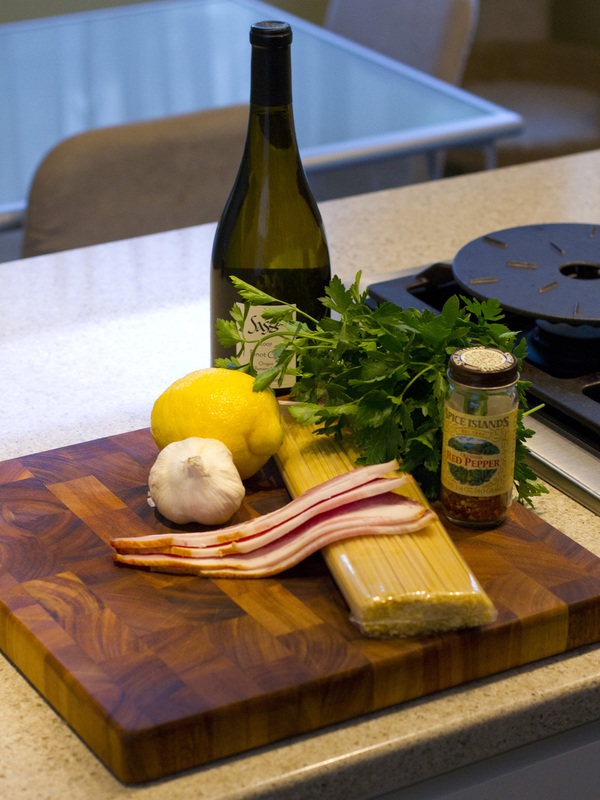 Cooking and good food is a passion of ours that we thought we could share. We hope you enjoy riding along with us on our expeditions. 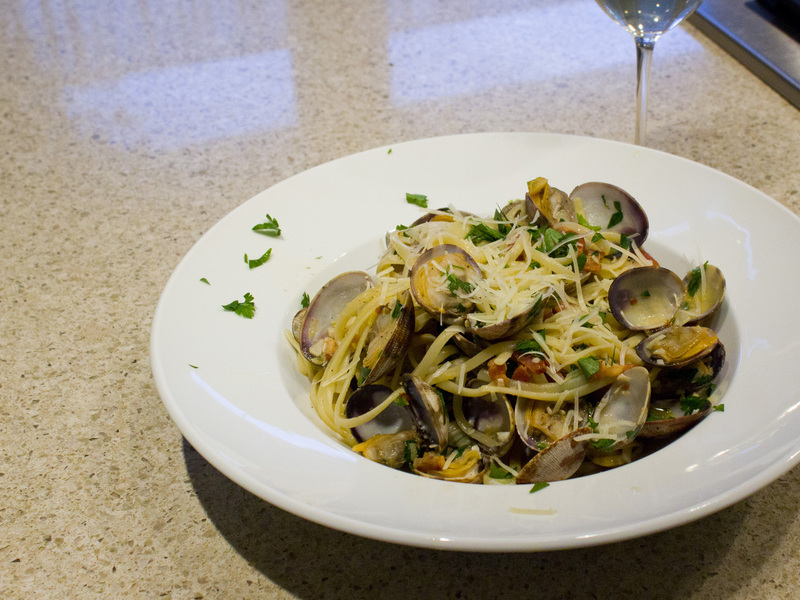 It is important that you find fresh clams for this recipe. We are firm believers in fresh, high quality ingredients, not only for how they taste, but for our health. You want to purge the clams first, which just means you’re making them spit out whatever sand they have left in them. 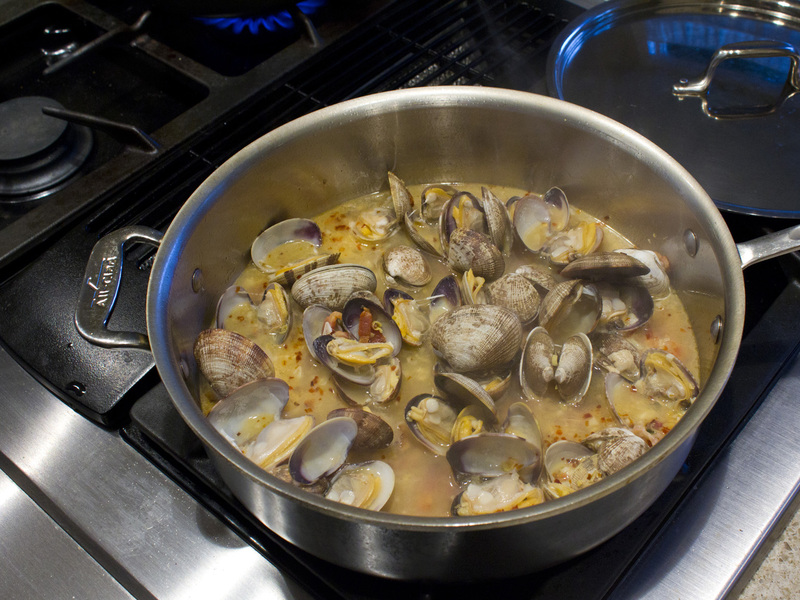 Put the clams in a large bowl, cover them with cold water, and add a few tablespoons of flour. Let them sit for 30 minutes. Change the water once or twice more. 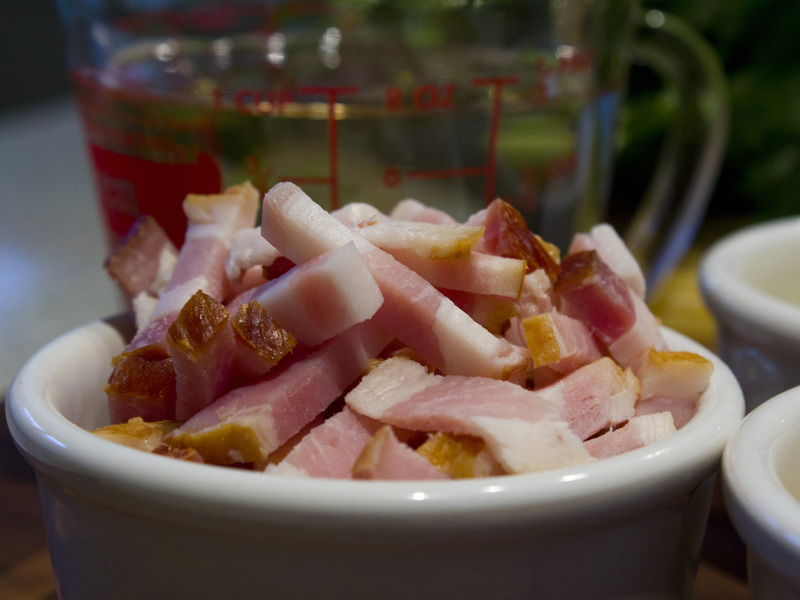 In a large pan over medium heat, add the bacon and cook until almost crisp.Add the garlic and chili, and lightly toast them. Make sure not to burn the garlic, as it will take on a bitter taste. Add the lemon zest and clams, followed by the lemon juice and white wine. Cover the pan, and cook until clams open. It should only take a couple of minutes for clams to open, so watch carefully. Discard any unopened clams. Clams are ready! Only a couple didn't open...throw those out. 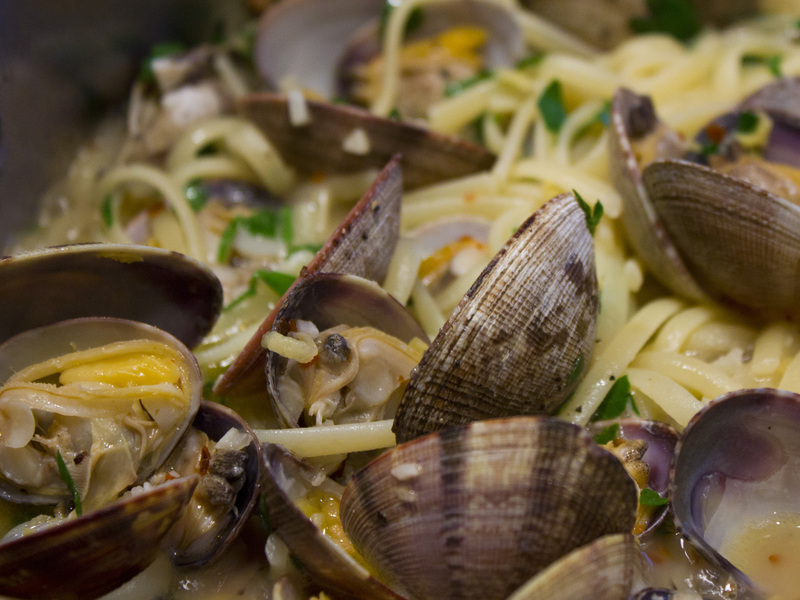 Add the linguine to the pan and mix it in with the clams. Drizzle with olive oil, add parsley, and season with salt and pepper. After everything is assembled in the pan, it is time to plate. I used some new, large bowls that Margie got for us recently and their large sized really helped. Time to eat! Overall, I think this is a really simple recipe to make and it is a nice, refreshing choice. It can be made on a weeknight and not take up too much of your evening and really looks fancy for the time you spent on it. The chili flakes really bring a nice heat to the dish that was surprising. Make sure not to over-do them, as I think it can get too spicy very quickly. I paired the meal with a nice NW Pinot Gris From Sass Vineyards.